Last week Microsoft released the second update rollup (UR2) for SCOM 2016 and a common trend I've noticed with these UR's is that the Patch List property is missing from the Agents by Version view in the Monitoring workspace of the console. 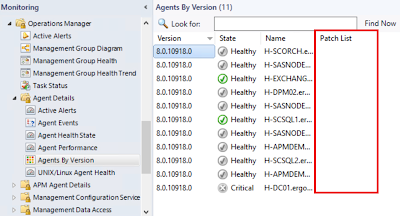 This is a bug with the SCOM 2016 agent and a bit of an annoyance when deploying update rollups as it's handy to know which agents need to be upgraded and which ones don't. So, now your only option in the console to upgrade the agents is to run a series of bulk Repair jobs from the Agent Managed view on all of them and then hope for the best that all agents have been successfully upgraded. This is not a fun process and I really don't like not having a central view of all my agent versions direct in the console. 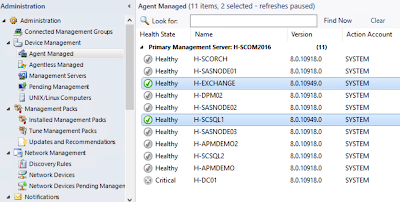 Thankfully Microsoft's Kevin Holman (SCOM Deity and all-round awesome community contributor) has created the new SCOM Agent Version Addendum Management Pack to help address this exact problem! 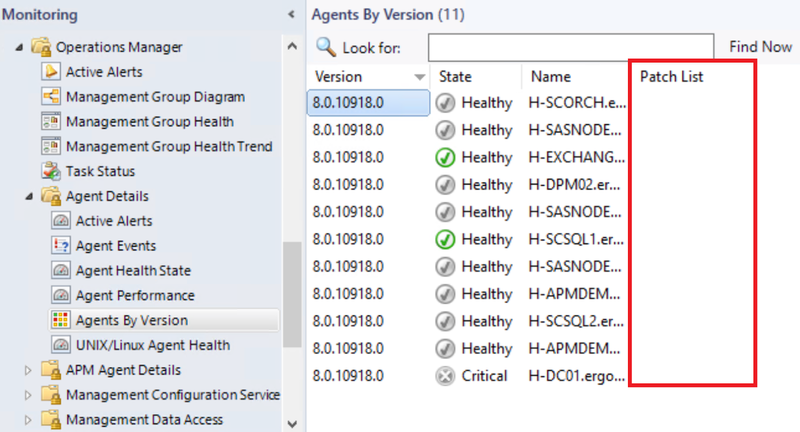 This management pack runs a script that disables the built in discovery for Microsoft.SystemCenter.DiscoverHealthServiceProperties (which has a display name of 'Discover Health Service Properties') and replaces it with a new discovery that attempts to retrieve the actual update rollup Agent Version value from a DLL file in the agent installation path. I love this MP as it adds some much needed functionality to the Agent Managed view within the console. 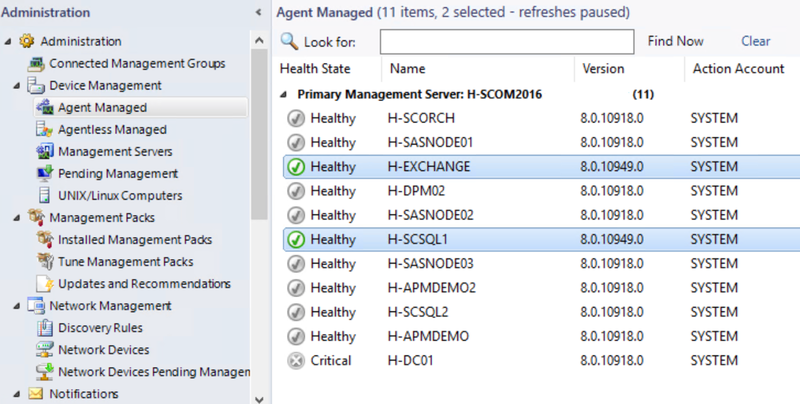 An extra bonus is that this MP also works perfectly on SCOM 2012 R2 too! 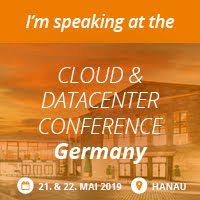 If you want to know more, check out Kevin Holman's blog post here and you can download it directly from the TechNet Gallery here.